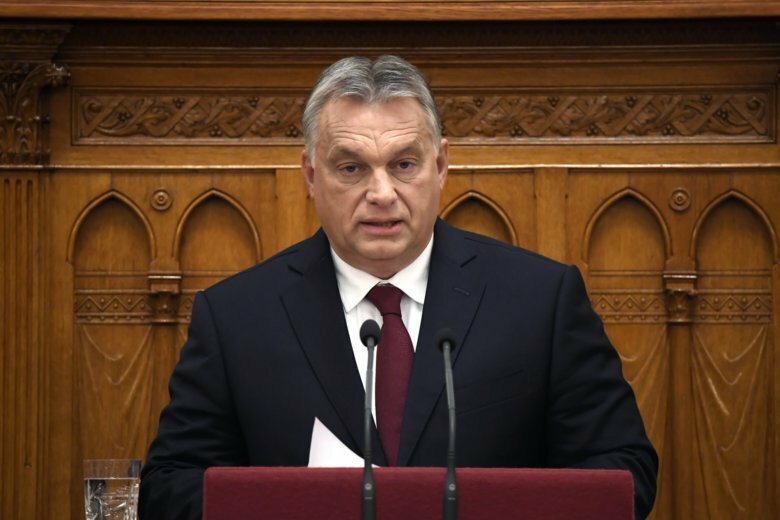 BUDAPEST, Hungary (AP) — Hungary’s prime minister claimed Monday that the European Union is seeking to take over the defense of the bloc’s external borders from some countries in order to facilitate the entry of migrants. Orban quoted a statement made by German Chancellor Angela Merkel on Sept. 12 in which she said that EU members would have to cede some of their national rights to Frontex. But Orban ignored Merkel’s next sentence from the same speech in which she said that EU countries must share the burden of migration in a show of solidarity, which the Hungarian leader has resisted doing. Orban also confirmed that his government would appeal on procedural grounds a vote last week in the European Parliament meant to launch possible political sanctions against Hungary because of risks to the rule of law and EU values. The government claims that only the exclusion of abstentions when calculating the outcome of the vote made it possible to reach the two-thirds majority needed for the motion to pass. Responding to Orban’s speech, opposition lawmakers criticized his position on EU’s plans to expand border security and accused Orban of trying to hide behind the Hungarian people for his failure in the European Parliament after Orban said that the vote was against Hungary, not against his government’s disputed policies. The far-right Jobbik party, which also opposes immigration, said that Orban was a hypocrite to oppose immigration while at the same time allowing tens of thousands of foreigners, mostly Chinese but also many Russians, to get Hungarian papers through the purchase of so-called residency bonds, a scheme discontinued last year. “In this question, you should support Europe’s defense of its shared borders,” Jobbik faction leader Marton Gyongyosi said. Orban has tried to discredit any criticism from the EU by claiming that Hungary is being singled out by pro-migration forces due to its anti-immigration policies and he also criticized the current EU leadership.